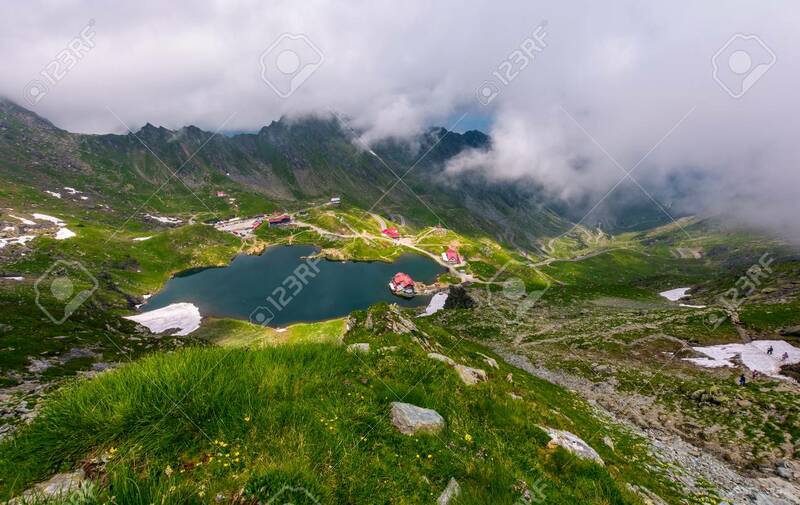 Mountain Lake Balea View Through The Clouds. Amazing Summer Landscape.. Stock Photo, Picture And Royalty Free Image. Image 91334392.